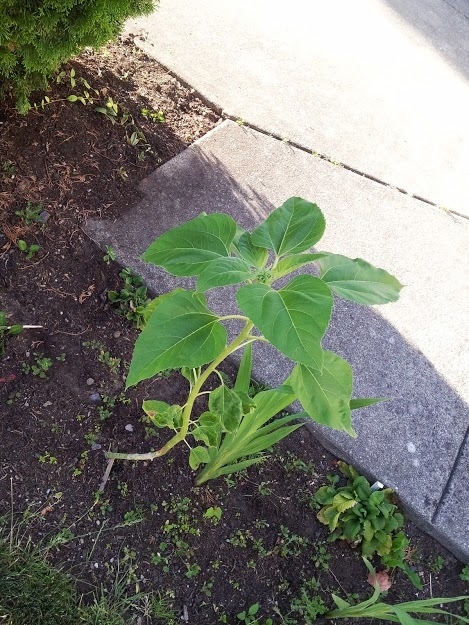 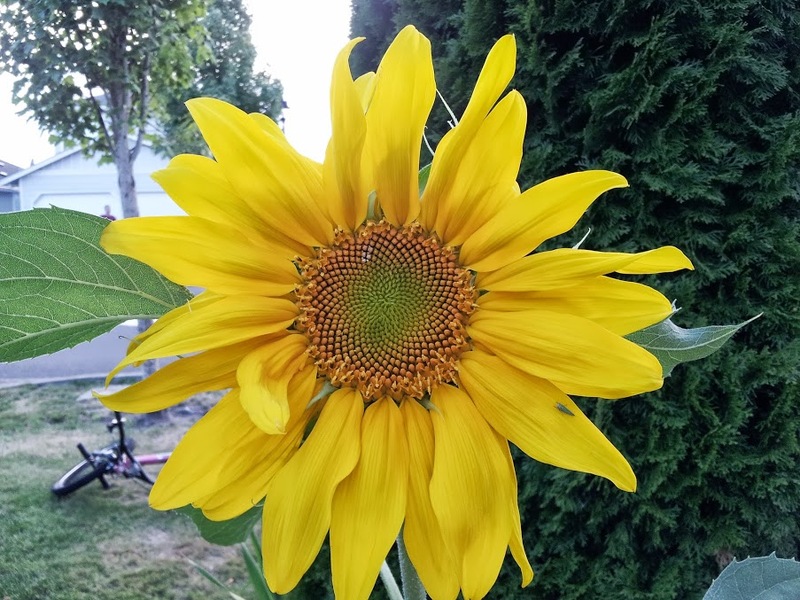 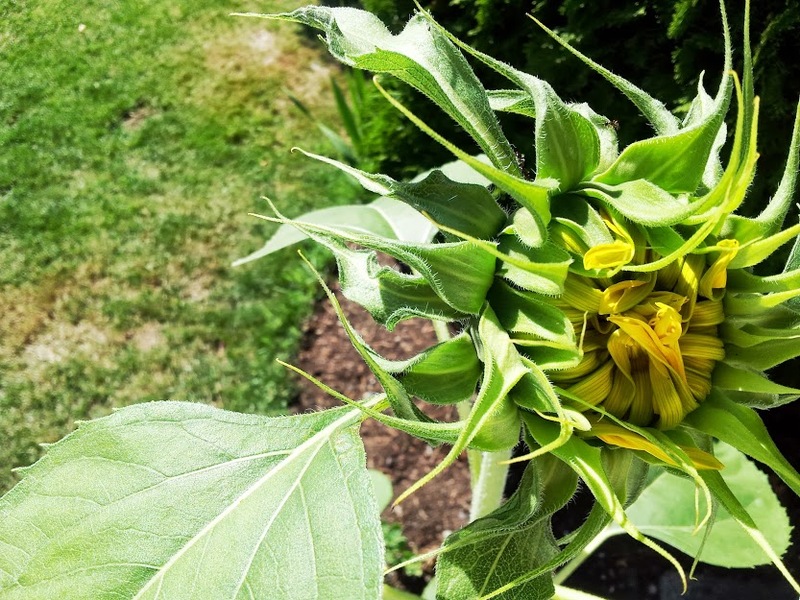 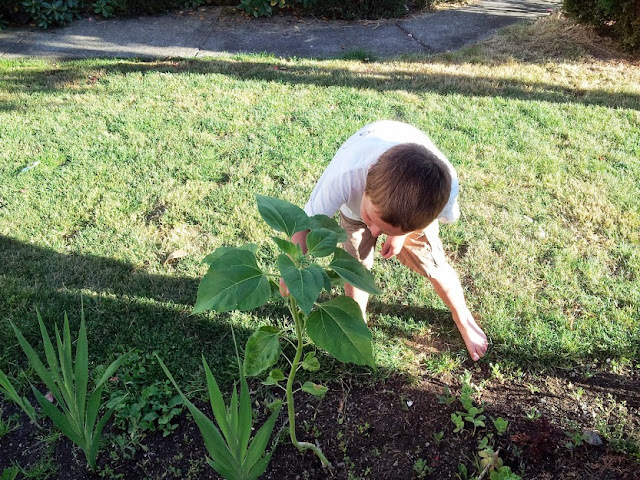 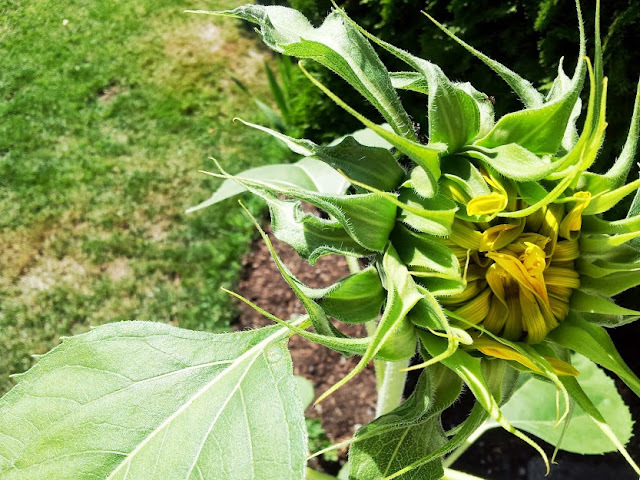 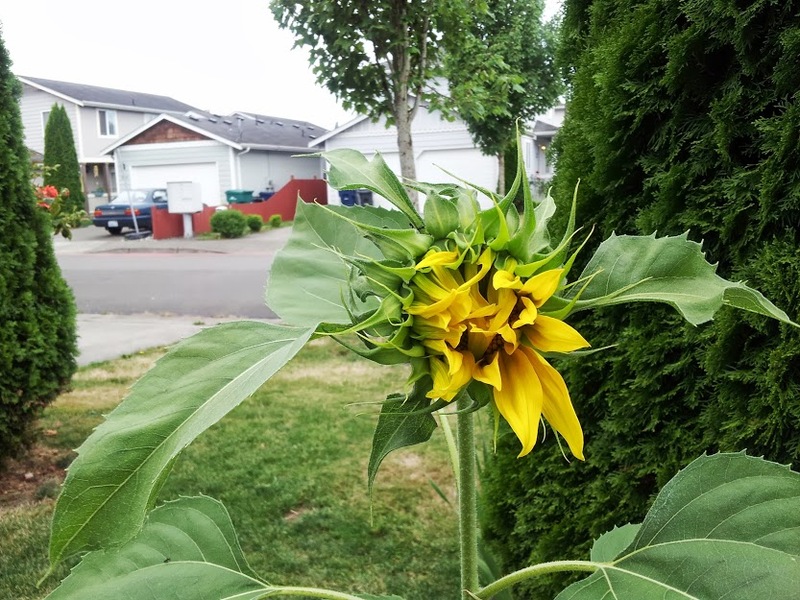 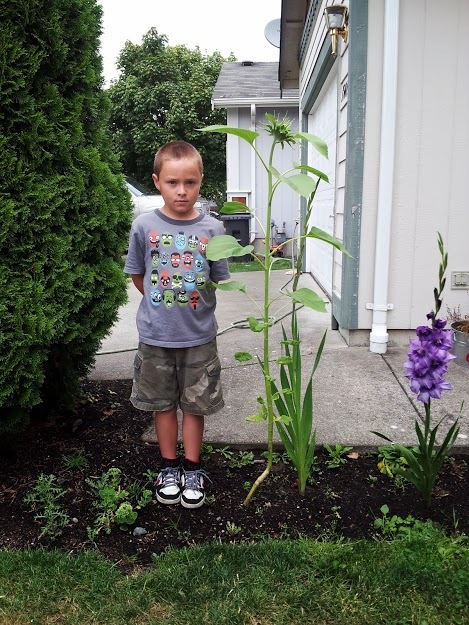 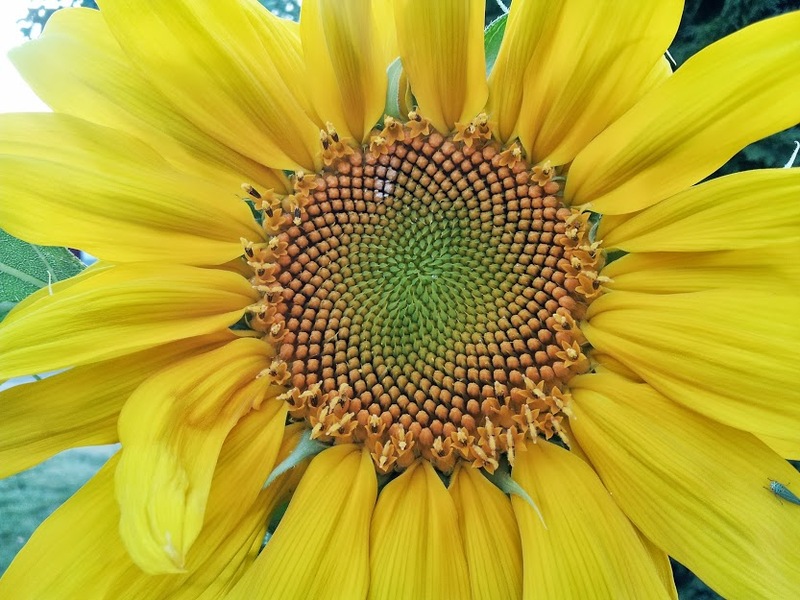 My son planted a sunflower seed in a cup at school last spring. as his Mother's Day gift to me. 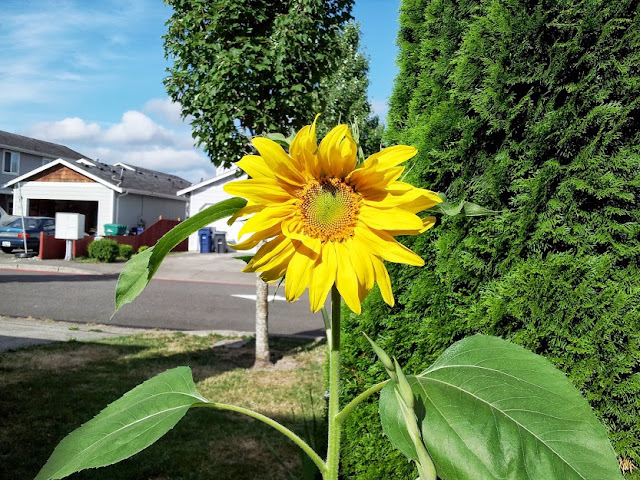 I apparently did not take a picture of it in the cup.